Emmanuel Lewis is an American actor, best known for playing the eponymous title character in the 1980s television sitcom Webster. He is 4 ft 3 in (1.30 m) tall. Lewis graduated from Midwood High School in 1989 and then Clark Atlanta University in 1997. He is often compared to the late Gary Coleman, star of Diff'rent Strokes. His main shot to fame, the 1980s sitcom Webster, was ABC's response to a highly successful show on rival NBC, Diff'rent Strokes, which starred Coleman as a diminutive African-American growing up in a white household. Lewis maintains that there is no medical reason for his 4'3" frame. Coleman stands 4'8" tall and points to dwarfism for his height. Lewis' role in Webster earned him several Young Artist Awards nominations. First was in 1984 for Best Young Actor in a Comedy Series, then on the following year for the same award as well. In 1986, he was nominated for Best Young Actor Starring in a Television Series, and once again the following year in 1987 for Exceptional Performance by a Young Actor Starring in a Television Comedy or Drama Series. He did not win any of these awards, though. He then landed roles in a couple more sitcoms. Moreover, he was constantly being parodied in the comedy variety show Saturday Night Live. In 2003, Lewis was cast in the very first season of the VH1 reality show The Surreal Life. The show features celebrities who are said to be past their primes and puts them in a Hollywood Hills mansion for two weeks. As if this were not enough, unforgiving cameras also follow their every move. In this season, Lewis' comedic antics made dull moments in the house rare, along with that manic trademark laugh of his. He also raised some eyebrows when he brought his People's Choice award and placed it on the shelf. Other highlights of the season include a camping trip and actor Corey Feldman's wedding to his girlfriend at the season finale with no less than rapper turned evangelist MC Hammer leading the ceremony. 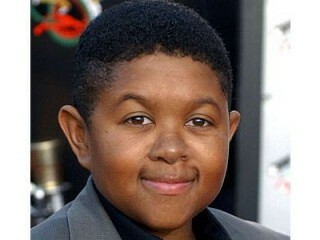 View the full website biography of Emmanuel Lewis.